20 year old fashion student and budding designer, Khrielasier Liezietsu comes from a breed of designers that are not made in design institutes or fashion houses. They are born with the fire. 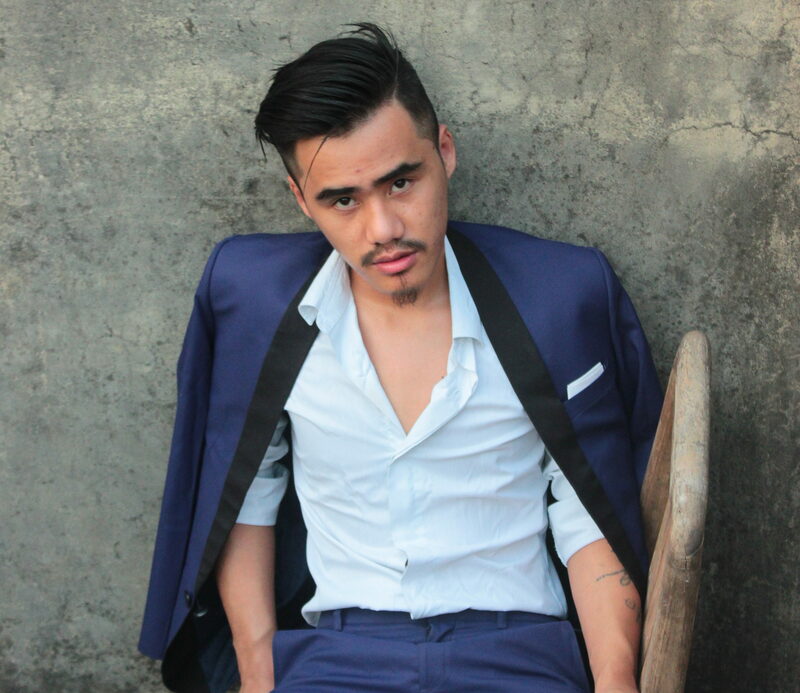 Although he has just joined NIFT Delhi to pursue his passion, Khrielasier, at a very young age has already produced eight collections and participated in more than 30 fashion shows.We spoke with Liezietsu to find out more about his humble beginnings and sky high ambitions. 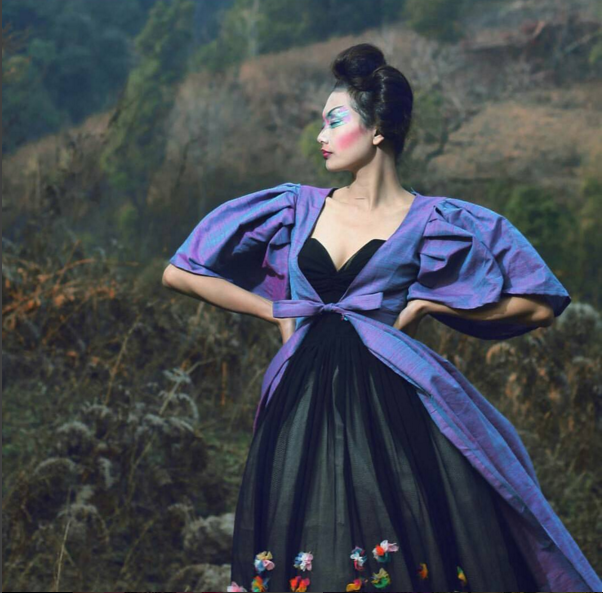 Born and brought up in Kohima, Nagaland, Khrielasier Liezietsu is currently pursuing a degree in Fashion Design from NIFT, Delhi. 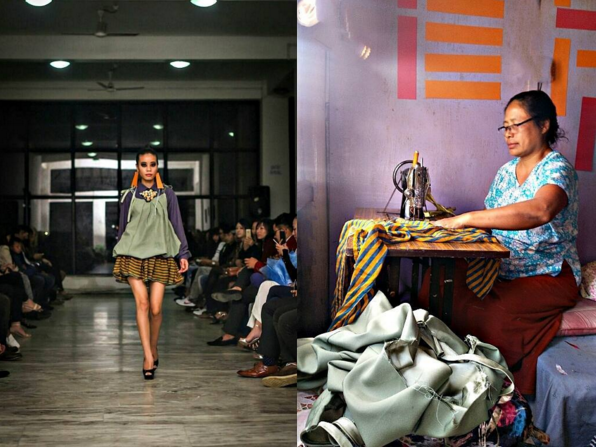 Photo | Khrielashier Liezietsu – Fashion Designer and Student at NIFT, New Delhi. I grew up very close to my mother and was constantly in her company. I used to watch her sew clothes for hours together. Slowly, my natural instincts told me to try my hands at the sewing machine. My mom was quick to notice my keen interest and encouraged me to start sewing clothes. I started sewing at the tender age of six and I never stopped loving it. Khrielashier’s mom has been a source of inspiration for him, and is always there to lend a helping hand. How old were you when you did your first public show? And how did that come by? I was 13 when I put up my first fashion show, along with a other fashion students. After that, I started taking the craft more seriously. I began sewing clothes with my own design.Later, I persuaded the girls at my school to try them on. And when they agreed, I directed various photo shoots with them at scenic locations. I used to shoot all the pictures with my mobile phone and upload them to Facebook. Slowly, my follower numbers began growing organically as more people started sharing and reposting my pictures in various groups and pages .That was when my work caught the attention of the media as newspapers, magazines and TV shows began approaching me. Professional photographers, hair & make up artists, models, buyers and investors started calling me to look for collaboration opportunities. Each offer took me to a whole new level. Taking his designs from paper to the streets | Khrielashier’s designs. Where do you draw your inspiration from? How do you describe your style? I’d like to think my work has an artistic style and my fashion is avant-garde. I draw a lot of my inspiration from dramatic paintings, loud color mixes and quirky people. I look up to the works of Vivian Westwood, Alexander McQueen, Delpozo and Manish Arora. Khrielashier’s ‘Alice in Wonderland’ collection. How has your journey in the fashion industry been? I am grateful that I have been able to work with many talented artists in the country. 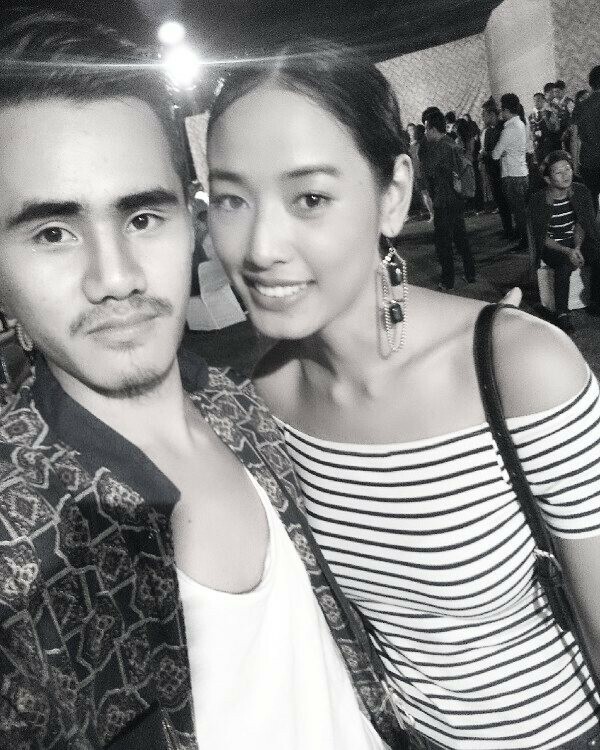 I have had the opportunity to design for mega events like Mr. North East 2011, Get Gorgeous Model Hunt 2012, Naga Touch Fashion Show and Hornbill Motor Rally Show 2012 and 2013. 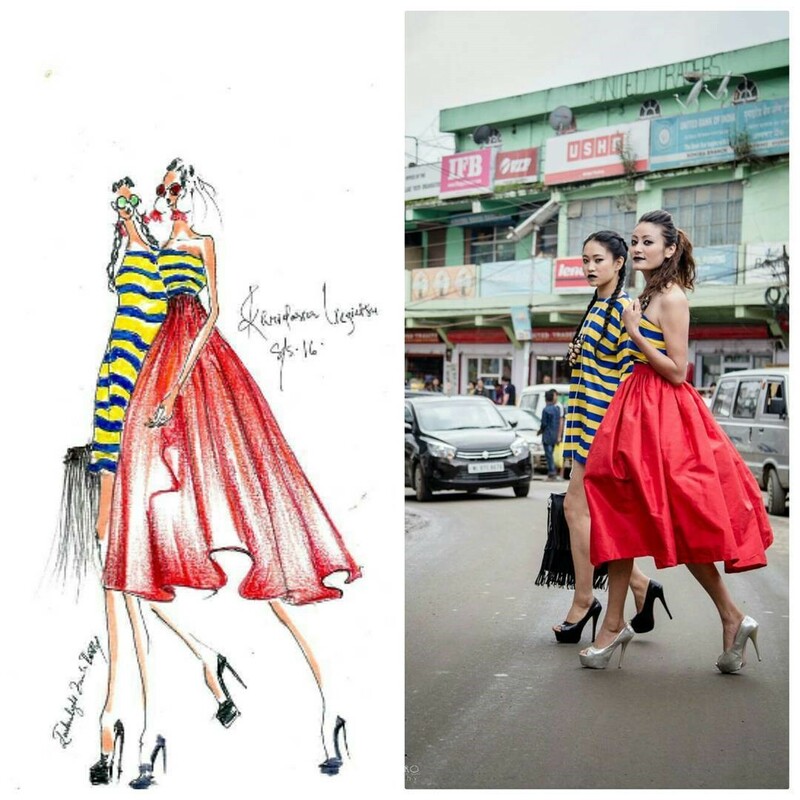 I was also responsible for the costume designs for the official photo shoot for Miss Nagaland 2013. Apart from that, I’ve designed artist Mengu Suokhrie’s dress that she rocked on the cover of her debut album. I have produced eight collections and worked on more than 30 fashion shows since I started out. How do you plan to continue to be inspired as a creator? 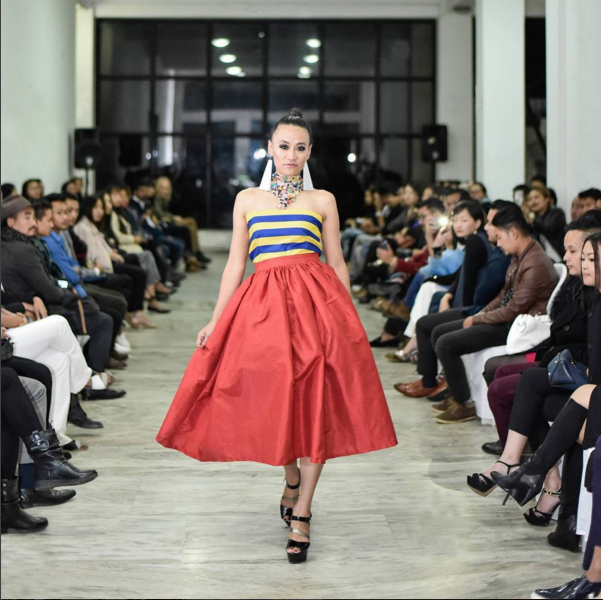 I plan to take my design to the global stage and to inspire people to appreciate it enough – to see it (fashion) not just as way to cover your body, but as an art form – a serious art form. Next PostRecipe of Machihan | Naga Chutney Made with Bitter Gourd.